Overvolting and undervolting - who interested in computers has not hear these concepts for once? So, for those of you unfamiliar, these terms mean, respectively, increasing or decreasing of the supply voltage. What's even more important, while in the case of desktop PCs, we usually increase the voltages to get the highest possible clock frequencies, the notebooks require more attention. That's why we decided to prepare this article. We are pleased to present you a complete knowledge compendium about power supply voltages in notebooks, which, we hope, will allow for a better understanding of the issue, as well as optimizing your own notebook. Without prolonging, we strongly encourage you to continue reading. First of all, to understand the essence of voltages, we have to answer the question of what they actually are. 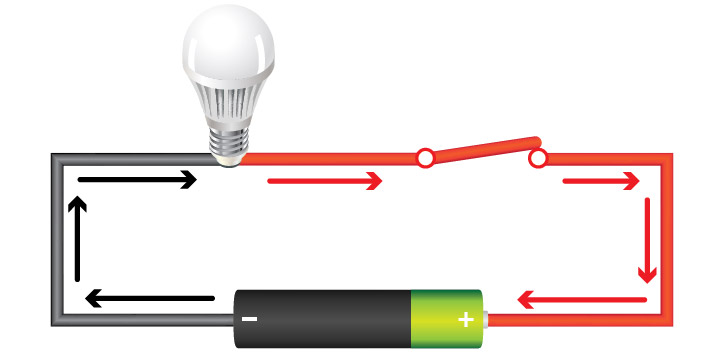 Physics defines voltage as the difference of electrical potentials, between two points of the circuit, i.e. the ratio of work done against the field, during the transfer of the electric charge. It still sounds enigmatic, right? But it's simple. Every modern processor (both CPU and GPU) consist of billions of transistors, through which, at a certain frequency, commonly known as core processor speed, electrical impulses run. Whenever the signal reaches the target, the system performs one basic operation. The number of basic operations required to execute an order depends on its complexity and architecture of the chip itself, but the clock frequency affects the final performance, anyway. Meanwhile, voltage, in the vernacular, gives impulses the strength required to overcome the path. Increasing the clock frequency expose the system to greater signal interferences. We must counteract them by increasing the amount of work done by impulses, which, however, leads to increased power consumption and higher operating temperatures. Similary, we can try to reduce the voltage in order to extend the battery life and improve the efficiency of the cooling system. Wait a moment... But does it mean a drop in performance? Well, no, it does not have to. And that's how we get to the heart of the matter. Despite appearances, there is no universal formula combining voltage with core processor speed. This is not only about the obvious differences in litographic processes, such as the width or pitch of transistors, between different types of chips, but the randomness among exactly the same structures, for example Core i7-8700K processors or GeForce GTX 1060 graphics cards. There are no two physically identical parts. 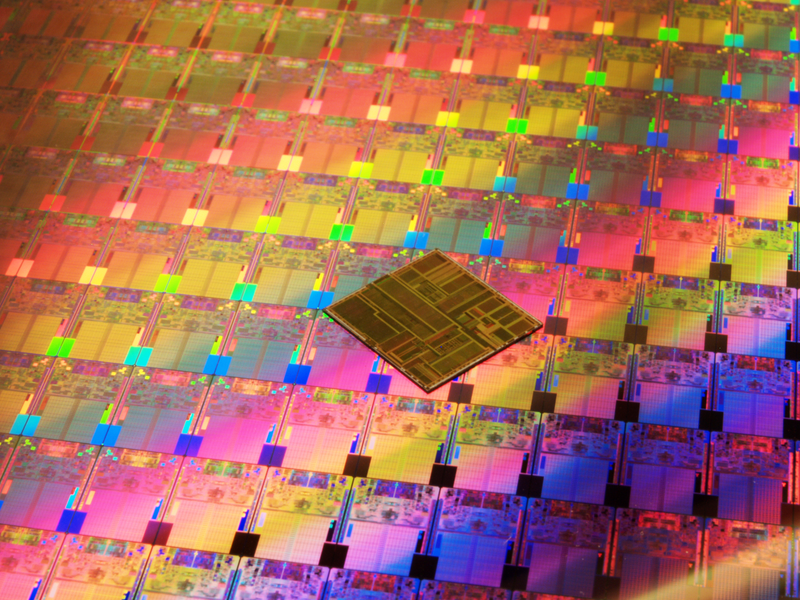 Cores are made of silicon wafers, which, after applying the structure in process called photolitography, are cut into individual pieces. The wafers themselves are made of almost monolithic and very pure crystalline silicon, and then additionally polished and cleaned with acid. Nevertheless, perfect homogenity is not achieved. Minimal flaws determine how high the system will overclock and what voltage will work stable. Knowing this, manufacturers use some form of averaging, examine a larger pool of manufactured cores to determine the optimal values for clock frequency and voltage. On the one hand, these values must guarantee good performance, but on the other hand - keep power consumption within reason and not bring more costs (by too many rejects due to instability). In mass production, averaging is necessary but, as you know, it does not help in optimization, in any way. 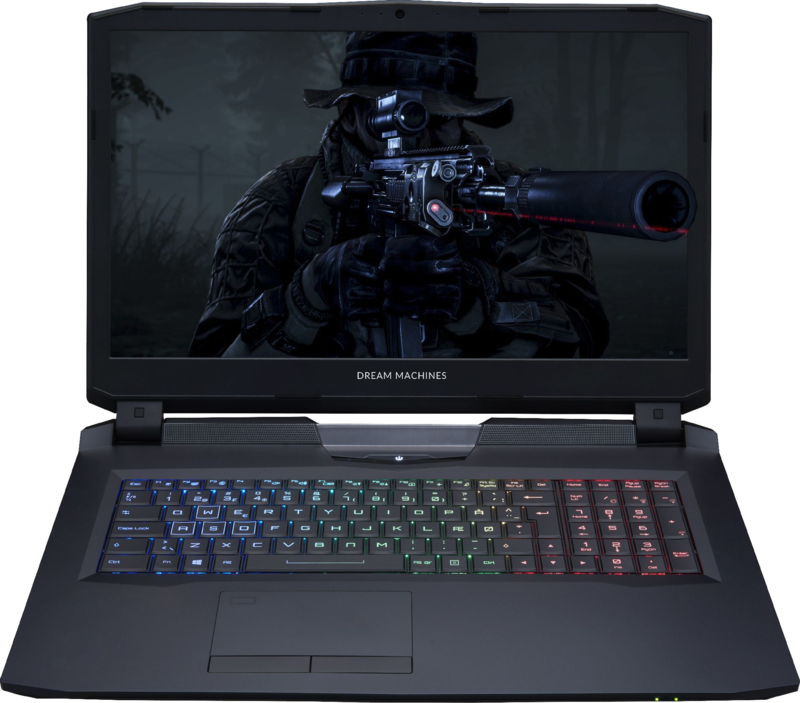 Fortunately, we can take matters into our own hands, at least if we have the appropriate system for change in clock frequency and voltage, such as Dream Machines X series notebooks, with special PREMA system software - for the processor and graphics card, or Dream Machines G series notebooks - only for graphics card. Chip suppliers such as Intel and NVIDIA strive to ensure that their parts are absolutely stable, also in the hands of a complete layman who could accidentally mess up in key options. The PREMA software, installed by us on customer's request, allows you to bypass the restrictions. This way you can get complete control over the notebook, which is in vain to find in the lion's share of competitive solutions. But to the point. Let's take, for example, the already mentioned Core i7-8700K processor. As you know, it is a six-core and twelve-threaded processor, with a clock speed of 3,7 GHz, which, thanks to Turbo Boost technology, can automatically increase to 4,3 - 4,7 GHz, with a voltage of up to 1,3 V.
We decided to take a random Dream Machines X1060 notebook with the Core i7-8700K processor to look more closely at characteristics of his work. 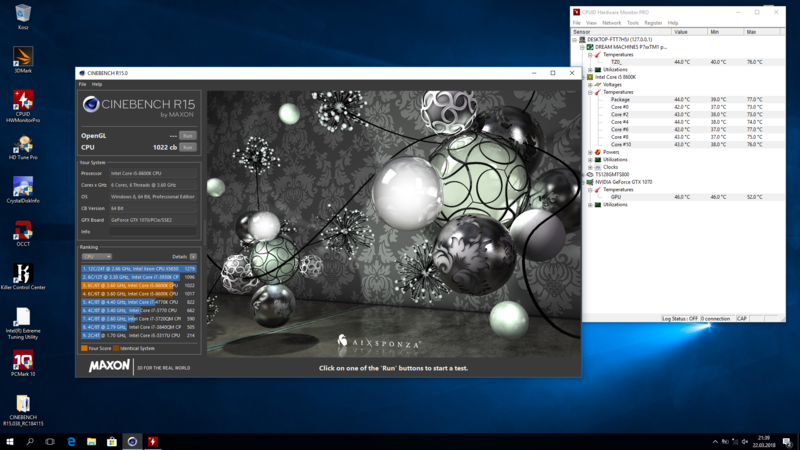 We started with ten scene rendering cycles in the Cinebench R15 benchmark application. It soon turned out that our notebook achieves around 1,400 points in this test. Nevertheless, it is more important that the effective voltage value fluctuated in the 1,23 - 1,28 V range, while 1,3 V occured only temporarily, in the form of jumps of the voltage curve. Starting from 1,28 V, we began to gradually lower the voltage, each time repeating a series of tests. Effect? Without any loss of performance, and thus without reducing the clock frequency, the processor used in the example took voltage at 1,25 V, which allowed to reduce its average working temperature by 4 - 5 degrees Celsius. Not only that, as lower temperatures allow the system to achieve higher power efficiency, we could also count on a slightly extended working time on the battery. You can repeat our procedure with a clear conscience. It is enough to modify the VCore parameter in the PREMA BIOS, every-time testing the stability (alternatively you can try the easy-to-use Intel Extreme Tuning Utility, which, interestingly, already has an integrated stability test). Obviously, by inverting the mechanics presented here, by increasing the voltage and the processor multiplier, the central processing unit can be overclocked. However, overclocking carries a certain risk, too high voltage may damage the notebook irretrievably, which is not covered by the warranty, while the voltage too low will cause only instability of the platform. You should also be aware that aggressive overclocking can significantly increase the temperature. Although we make the greatest effort to make Dream Cooling system as efficient as possible, the laws of physics can not be overcome. What about the graphics card? Here the issues are a bit different, namely the current NVIDIA Pascal cards used in our laptops use the entire tables of voltages, set against the frequency, and the next thresholds can be up to several dozen. 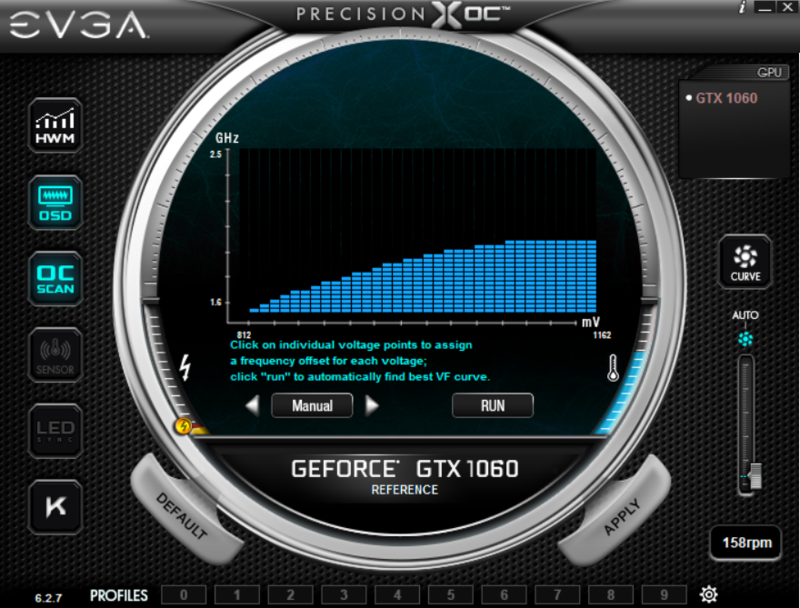 Access to this table is obtained either by the combination of the keys "Left Ctrl + F", in the MSI Afterburner tool, or by selecting the appropriate function in the EVGA Precision XOC tool. GeForce GTX 1060 6 GB, installed in Dream Machines X1060 notebook, in practice reaches about 1500 - 1550 MHz, with a voltage of 1,0 - 1,05 V. We lowered the values on the curve so that the peak voltage value make 0,95 V, and our graphics card, again, became 6 - 7 degrees Celsius cooler, without any negative impact on performance. Of course, in this case, stability test should be done in games. As in the case of the central processing unit, the values can be not only lowered, but also raised. It depends only on the intentions of the user. Having the knowledge presented above, you will probably ask us why we do not do undervolting at the factory, since it seems so simple. We answer once again: it's due to randomness of the chips. Both lowering the voltage and increasing the frequency will never be optimal if we take it globally. Please note that even factory overclocked graphics cards for desktops can still be optimized. To visualize the problem, the Core i7-8700K used by the author of this article in his private computer is stable only at 1,28 V, not like the sample in Dream Machines X1060 - 1,25 V. The conclusion should be clear. To obtain optimal parameter, optimization should always be done by yourself. But with this article is no longer a difficult process, right?